A classic performance from "The Swan" favored by audiences for over two decades! Travel behind the scenes of Dr. Swan’s “growing up days” as he shares stories of home, church, school and just “down home fun” in the Swanberg household! This classic performance has been a favorite of audiences for over two decades. You will see why this paster-turned-comedian has won the hearts of audiences all across the country. He can tell a story like no other. 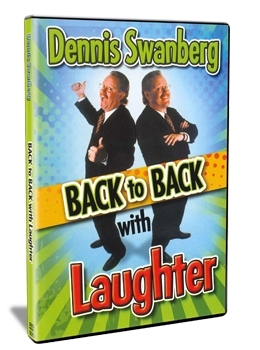 So, sit back and laugh with “The Swan”…Back to Back!